The TR80 provides the greatest loading-spanning capabilities of our range. An excellent quality profile which is also priced competitively, the TR80 delivers strength as well as high speed of installation. SBBBL manufacturing Special Custom Steel Profile as per requirement in Steel Grade, Tolerances, Dimentions, Edge Quality, Finish and Packing. Stainless steel ring for 24 hours smooth running controls oil and increases mobility. The range we offer is made as per the clients' specifications and is extensively used in compressors.These products are highly reliable, durable and affordable that consume least amount of electricity and advantageous for clients. We are offerings Boiler Quality Plates (SA516 Grade 70 BQ Plates). 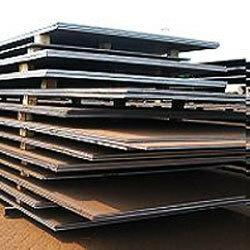 We are having stock of Boiler Quality Plates from 3mm to 80mm. We also have good stock of imported Bq plates in Rabale, Navi Mumbai. 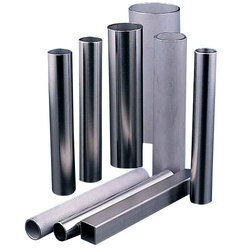 We are one of the leading importer and supplier from Mumbai offering special steel profiles made from iron and steel. These steel profiles comprised of solid steel profiles and flat steel profiles. - Overview - In addition to basic shapes like round, square and hex we also manufacture a host of other specialized shapes ranging from 2.5mm to 80mm and any section as per customized requirement. - Advantages - RMPL has a fully equipped die shop with computerized CNC wire-cut machine which enables us to manufacture any shape or profile depending on the customer requirement. She is the Co-founder of CRUX and is actively involved in building CRUX's unique approach involving personalized service that delivers unbounded value. She has successfully combined her collective experience & acumen in diverse fields to strategize, plan & effectively implement sustainable business model & her passion for quality coaching has created new horizons in education. We use 1mm thick steel because the thicker the steel, the less susceptible it is to denting, bowing, noise transmission and the hard knocks of pots and pans. So thickness is very important. Steel for pneumatic tools are manufactured from low carbon steel, combining the benefits of a case hardened skin without the risks of core brittleness. Drill rods are manufactured from mining grade or based steel. There are no re-melt contaminants in this steel, substantially reducing the risk of material fatigue. Galvanized Steel Profiles offered comprise quality galvanized steel profiles that come designed to provide for perfect functional support in different working environment lie commercial interior, industrial and others.